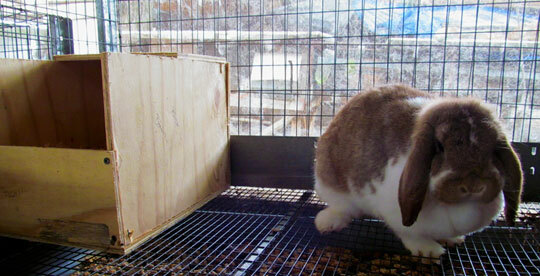 There are a variety of how-to's for building a rabbit nest box. 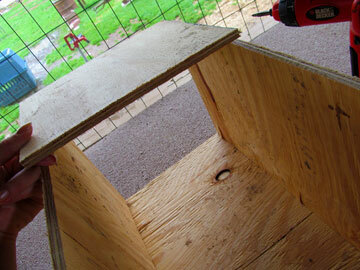 But, I thought I'd put one together, since this is the nestbox size I use for Mini Lops. 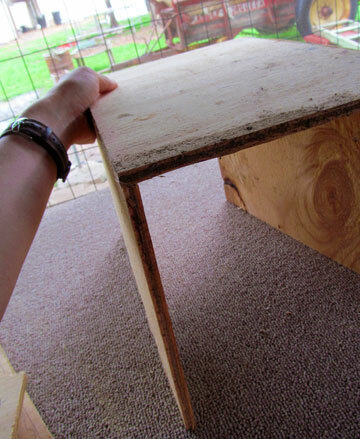 This design is what we use for all our nestboxes, but any bigger rabbits (such as the commercial breeds), we just use bigger dimensions. 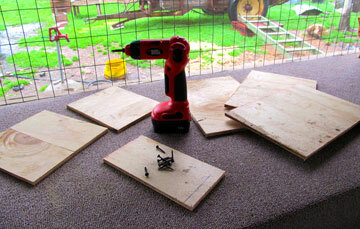 -1/2" sheet of plywood, measured and cut into the correct pieces. Line up the sides and bottom first. 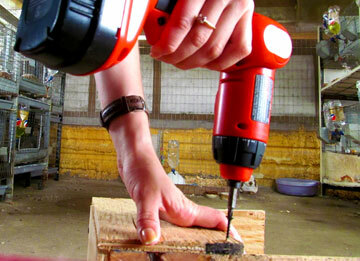 I line up one side and then use the other side to support the bottom while I screw it together. 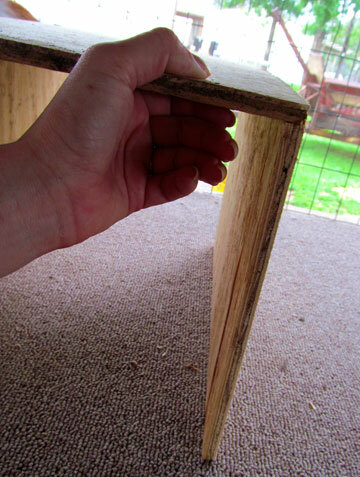 Once the first side is screwed together, line the other side up. 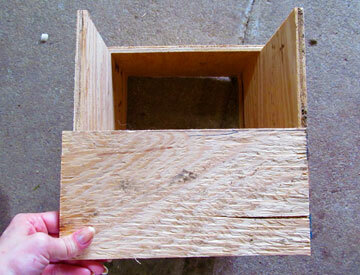 Place the top piece on the box, line it up correctly and screw it together. Next piece is the front piece. Line it up and screw it together. Add the back on. The picture below is two smaller pieces put on the back. Normally it's just a solid 10x10 piece, but since I had smaller pieces to work with, this did the job. That's it! 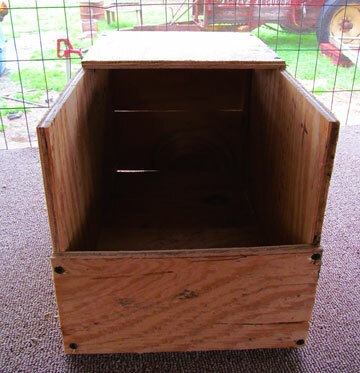 The nestbox is completed! 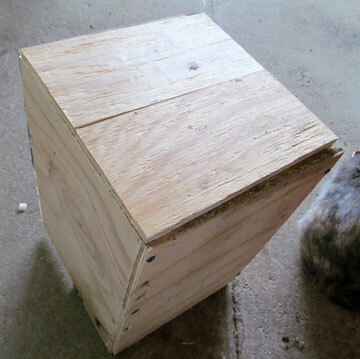 I had two does who needed nestboxes the day I made these. 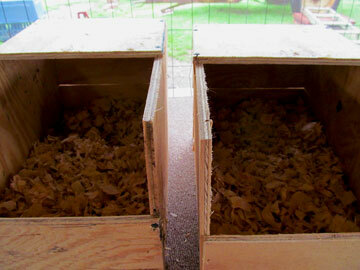 So, once you need them, just add the shavings and place in the cage!